But ever since it was introduced, the CRZ was scorned, attacked and incrementally amended almost 20 times, weakening its protections significantly. Many serious violations when pointed out were regularised. Finally, after a massive agitation by fisher groups and intense negotiations with the environment ministry in 2010, a notification was introduced in 2011, with some degree of protection to the ecology and livelihoods that depend on coastal resources. The Coastal Zone, according to the 2011 notification, regulates land-use and development intensity under three categories: ecologically sensitive areas (CRZ I), already developed or urbanised areas (CRZ II), and developed or undeveloped rural areas (CRZ III). 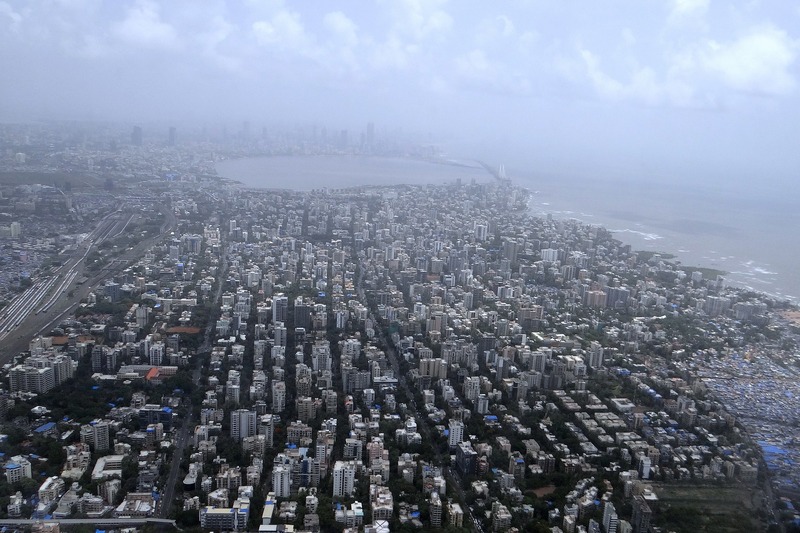 The notification considers Greater Mumbai as a city requiring “special consideration” with four major differences as compared to the CRZ for the rest of the country. Development in the rest of the CRZ II areas in Mumbai will be governed by planning regulations as they existed on the date of issue of the first notification (1991). In short, the 2011 notification for Mumbai, while providing relaxations in CRZ II areas, also provided protections to coastal communities and open spaces. Yet a spate of new amendments to the CRZ are being made. Similarly, Coastal Zone Management Plans (CZMP) released recently – in Chennai for example – have been criticised for failing to follow the 2011 notification’s stipulations. These amendments and plans are specifically aimed at facilitating or clearing infrastructure, tourism or residential projects along the coast, threatening all that the CRZ – despite its flaws – aims to protect. In June 2015, a settlement of 200 houses in Mumbai’s western suburbs was bulldozed by the forest department. A mud roads was built around mangroves, they said – an “encroachment” on forest land. As the evicted dwellers, punished for occupying a few thousand square meters of the city’s marshland, looked for alternative shelter, the environment ministry cleared the coastal road project, which is expected to reclaim 168 hectares of land from the sea and 27 hectares of mangrove land. The 35-km long expressway has been planned as a combination of sea-links and reclaimed roads along the western shoreline of Mumbai. In its original form, CRZ 2011 only permitted roads on stilts to ensure free flow of tidal waters and minimise ecological impacts. Months before the project was cleared, however, the CRZ was amended to permit reclamation of the seabed for constructing roads. So even as Mumbai strangulates its robust public bus system, it is building extravagant infrastructure for private motorists. In a People’s Tribunal on the coastal road organised in October 2015, fisher communities explained how the project would impact coastal habitats and cut off their access to the sea and the commons. Environmentalists showed how it would increase the risk of flooding and sea-level rise. Transport activists indicated how it would exacerbate traffic congestion and air pollution. Others explored its role in promoting land speculation; some others scoffed at its misplaced priorities. But with the CRZ amended, the only legal safeguard was removed, pitting these voices against the nostrums of hired consultants who argue that Mumbai needs an expressway, not sanitation; that it needs private cars, not clean air. Through another modification to the CRZ in 2015, restriction on construction in CRZ IV areas was relaxed to allow the development of memorials or monuments of “national importance” and allied facilities (read: commercial uses). The CRZ IV category regulates coastal waters, and permits only traditional fishing and related activities. This peremptory amendment was designed to clear the construction of the gigantic Chhatrapati Shivaji statue, estimated to cost Rs 2,500 crore, off Mumbai’s western coast, and cleared just five days after the amendment was notified. The 190-meter-high statue will reclaim 16 hectares of relatively shallow waters with submerged rock and coral – typically a breeding ground for a range of aquatic fauna. Much of this area will be used for “allied facilities” such as a marine aquarium, with a dolphin pool, an amphitheater, a museum, a helipad, restaurants and more. And even here, what is at stake is the livelihoods of approximately 15,000 fisherfolk, who have found no opportunity to make themselves heard, since projects of “national importance” and “public interest” can bypass mandatory public hearings. So how does ‘public interest’ become a way of silencing the very people it claims to represent? How does a regulation that seeks to protect the livelihood of a community become a tool of their exclusion? How does a law, which promises to safeguard the environment, make way for its destruction? In Mumbai’s planning terminology, No Development Zones (NDZs) were areas in the older development plans that demarcated certain environmentally sensitive areas, such as low-lying lands, marshlands along creeks, intertidal areas and land used for primary activities. Over the decades, these ecologically fragile areas have offered habitats and livelihoods to many low-income communities. Much of the NDZs along the coast overlap with the CRZ, especially the CRZ I and CRZ III categories. This includes 2,700 hectares of the city’s salt marshes (CRZ I) that have now been earmarked for constructing “affordable housing.” A large chunk of the northwestern hinterland comprising natural and agrarian landscapes, villages and coastal commons (CRZ III) is being opened up for luxury residential developments. Some 120 hectares of the intertidal area of the Backbay (CRZ I) will be reclaimed to create a “central park”. Similarly, changes in tidal patterns due to reclamation for the Bandra-Worli sea link caused the Dadar Chowpatty beach in Central Mumbai to disappear within just ten years. Already, the Maharashtra government is demanding more amendments to CRZ rules to permit land reclamation for housing and tourism projects. What will be the social and ecological implications of such amendments? Two years ago, the Slum Rehabilitation Authority declared parts of the Worli koliwada, a fishing village, as “slum areas”. Worli residents vociferously opposed the classification that would rehabilitate them in multi-storey buildings to make room for commercial real estate. The 2011 notification’s “special consideration” for Mumbai permits slum rehabilitation schemes in CRZ II areas, and thereby higher intensity development (such as higher floor space indices). However, it identifies koliwadas as CRZ III areas, and restricts high-rise construction but permits reconstruction and repair of buildings within the village. Even here, semantics become crucial: a simple reclassification can multiply the development potential of land. It is important to remember that the designation of fishing villages as CRZ III in Mumbai was fought for and won by the fisher communities themselves. Paradoxically, some members of the community who have moved away from fishing have now begun advocating high-rise redevelopment for koliwadas under the Urban Renewal Scheme, which the CRZ III restricts. However, each one of them transforms ecological resources into valuable real estate and complex social ecologies into new opportunities for investment and growth. The CRZ is a striking example of how a law that was drafted almost three decades ago by nature enthusiasts and well-meaning bureaucrats was subsequently seized and socialised by the organised campaigns of coastal communities. Some have called it a social contract, an outcome of the intense and long negotiations between the central government, unions, state governments and interest groups. Every amendment that is made to the CRZ in secret and without public debate undermines this agreement – and with it, the social and ecological future of our coastlines. Shweta Wagh and Hussain Indorewala teach at the Kamla Raheja Vidyanidhi Institute of Architecture and Environmental Studies, Mumbai, and are researchers with the Collective for Spatial Alternatives.